I woke up this morning craving a pumpkin spice latte! The season change is upon us so I give you a super healthy and tasty way to start your day. 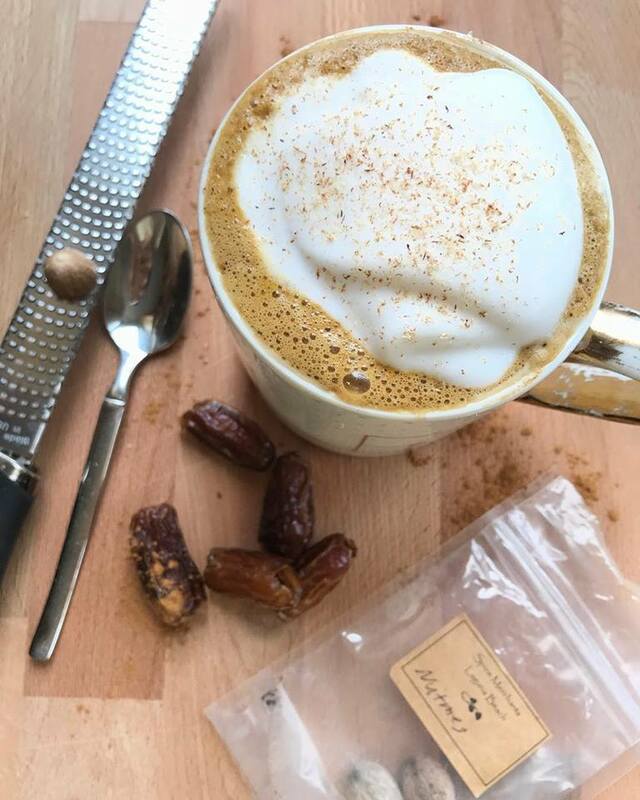 No long lines waiting at your local coffee shop, no artificially flavored syrup or high fructose corn syrup in this latte - just top quality ingredients to fuel your body! The recipe is for two servings so share with a friend or just enjoy a double dose as the mornings are already staying darker longer. 1. blend all of the above ingredients in the Vitamix on high for 30 seconds. 2. Top with your favorite steamed milk (I prefer homemade or Malk Organics) and some fresh grated nutmeg.